Before sending in your next peice of equipment for repair be sure to fill out our repair order form and send it with your instrument. 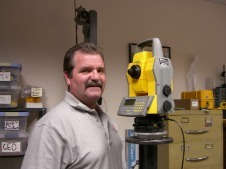 Monsen Engineering repair facilities now offer repairs on Trimble handheld GIS and GPS products! We have become certified to do total repairs on the GeoExplorer and Pathfinder Pro series GPS receivers, as well as the TDS and Trimble data collectors. 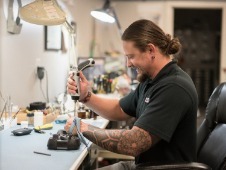 Monsen Engineering offers repair services and calibration on a variety of instrument types and brands. We have factory trained service technicians who receive ongoing training on new models coming to the market. We are capable of performing a complete range of repair and calibration on all of the Trimble, TDS, Sokkia and Topcon products we sell. We also repair and calibrate K&E, David White, Laser Alignment, Nikon, Leica and many other brands of instruments. Our quick turn around times and extensive pool of rental equipment is designed to get your instrument back in service A.S.A.P. and keep your projects moving along during the repair process!